Are you a serious interior decorator or just a traditinalist when it comes to cordage? Do you know what's a 'Plash Palatka'? 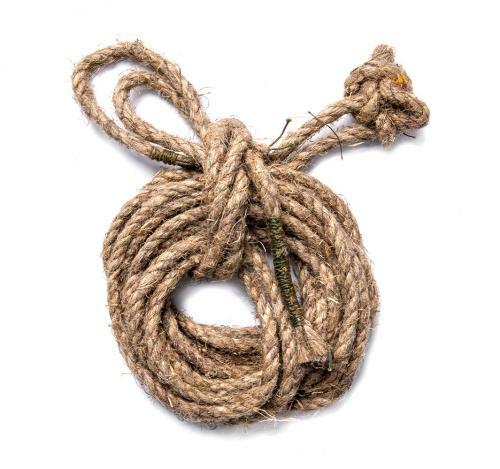 Buy this piece of Soviet tent rope! Guaranteed to be rough, tough and will leave your home full of fibres. Even though these are natural material, they will decompose after the user. Length about 3-4 metres, diameter some 6 mm. Most are in totally unissued condition, but since some are used we simply label these all as "used army surplus". Very random availability.